If you are considering either an electronic drums set or a classic drums set, then you no doubt have a lot of questions. Mainly, which is considered better? This question would have been simple if asked a few years ago. Only recently have electronic drums progressed to the point where they are comparable on many levels to classic drums. While this will make your decision more difficult, it will also provide you with many options. Lets take a moment now to review the advantages and disadvantages of electronic and classic drums, focusing on a few key features. 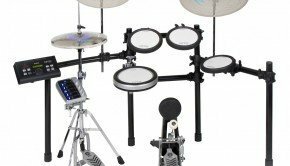 When it comes right down to it, the reason why the majority of people purchase electronic drums sets are because they are much quieter then classic drums. That is not to say that they are completely silent. They are not completely silent. However, electronic drums can allow you to listen to your play through earphones. This is much preferred over the otherwise loud noise that comes from classic drums. 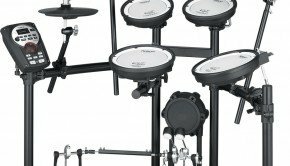 Depending on what you are looking for, electronic or classical drums may be preferable. When it comes to buying a beginners set, most people suggest going classical, because most electronic drums that are cheap are not good and break easily. The question becomes more challenging however when you get to mid ranged drum kits. Here, mid ranged electronic drums can start around $700, making them a competitive option when compared to buying a classic drums set. In addition, if cost is on your mind, then keep in consideration that electronic drumsticks tend to last longer then their classic drums. As a final note, if you are looking for a used drum set, most people will suggest classic over electronic, as classic will have less problems after use. Depending on your play style and size, positioning may be the key. 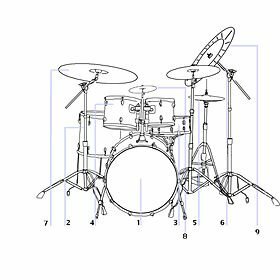 For electronic drum kits, you only need a minimum of space. Classic drum kits require more room, but are also infinitely easier to position. That is why if customizability is the key, then classic is the way to go. However, if storage is the key, then electronic drum kits are advised due to how easily they can be stored. When it comes down to feel, classic drums still beat out electronic drums. The gap is narrowing, but for a comparable price, it is hard to beat the classic design, feel, and sound. However, if you want in built tools that make keeping a beat, listening to music, and recording easier, then electronic is the way to go. 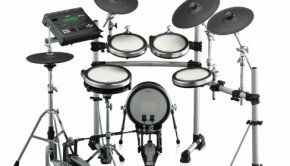 Electronic-Drums.info Best source of information for Electronic Drums new and used. Copyright 2019 Electronic-drums.info, All Rights Reserved.